At Trading Post Super Center, we are a family-owned dealership that has been helping customers for over 37 years! 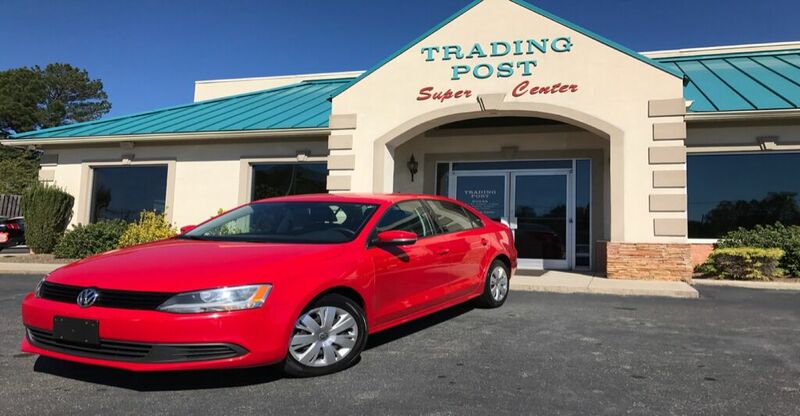 With no high-pressure sales gimmicks, we have an impressive selection of over 200 pre-owned vehicles to choose from at affordable prices at our two locations – Conover and Hickory. Since we own the bank, Tico Credit of Hickory, bad credit and first time buyers are approved! Tico Credit can also help to rebuild your credit by reporting your good payment history to the credit bureau. We also have relationships with many other banks and will ensure you get the lowest interest rate available! We are BBB-accredited with an A+ rating! Buying from a family-owned dealership has its advantages! Once you buy your car from us, we don’t just forget about you! We stand by our customers and are here for you whenever you need us after the sale. We pride ourselves on our excellent customer service and will continue to go above and beyond to make sure all of our customers are satisfied. Come meet our family! We would appreciate the opportunity to earn your business and promise you will drive away happy!